Anyone who’s done one of Trevor (Curve)Ball’s events knows he loves throwing surprises at runners. 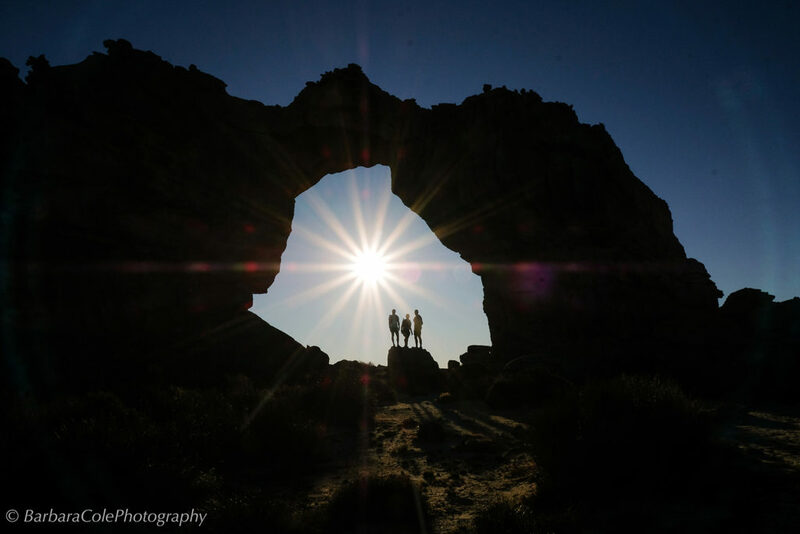 His events (Two Oceans Trail Run, The Beast, The Bastille Trail Run, Table Mountain Challenge and the Cederberg Traverse) have been going for years, and the only thing that’s consistent about them is that every year, they each promise something different, route-wise. It might be a reversed direction, an additional ravine, an extra peak or river crossing, a different final stretch to the finish; there might be a rowing boat or a floating bridge; there could be a stile one year, and the next you’re having to crawl under that same fence with a face full of grit. 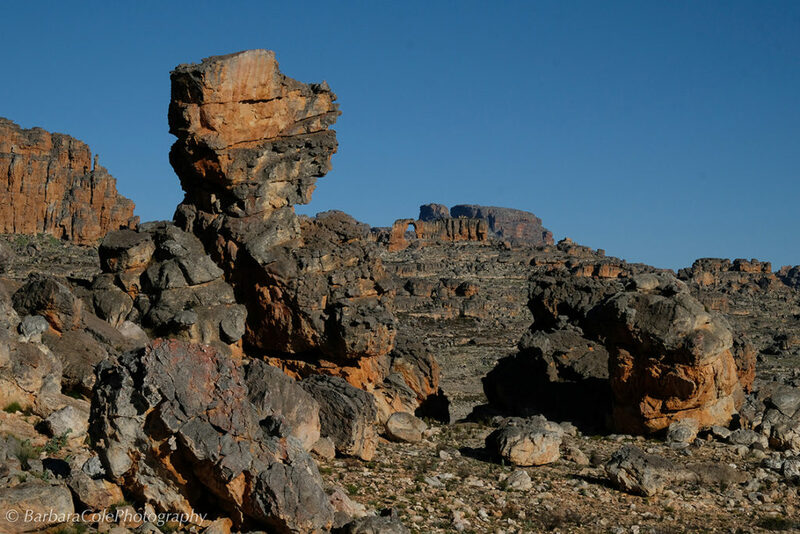 Until this year The Curve Ball had barely tweaked the original route of the Cederberg Traverse. The first two years of the race, 2014 and 2015 were run on an identical route. 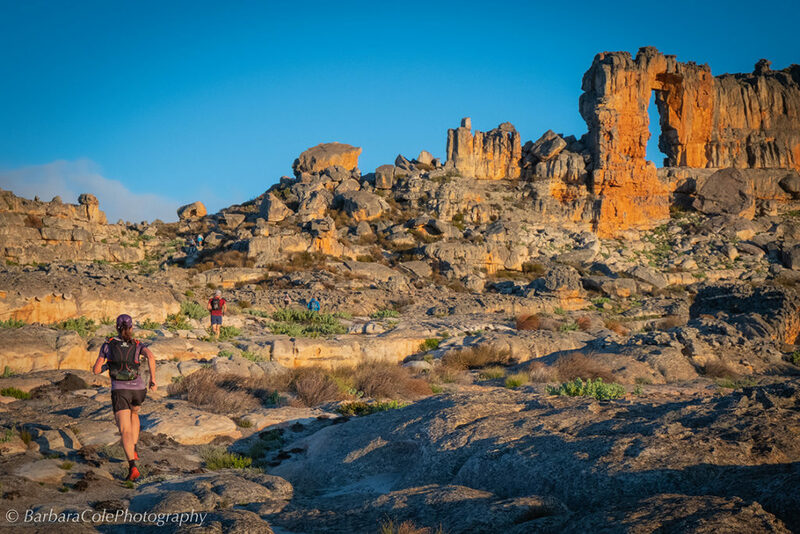 The third year had a slight change, taking runners on the back valley of Riempie se Gat, behind Sneeuberg to the Maltese Cross. The fourth year, 2017, was a forced deviation as a result of the closure of a vast section of the wilderness area by Cape Nature following an extensive fire in January 2017. The route has a dramatic start. From the Sandrif campsite at 5am (still dark), we headed straight up the steep 650m ascent above the Valley of the Red Gods to the Wolfberg Cracks which, in the orange dawn glow, presented a spectacular introduction to the astonishing array of rock formations that would fill the next 20+ hours. We meandered our way through the maze of towering sandstone cracks, and emerged onto a plateau strewn with red boulders of all sizes. It looked like a giant’s playground of smashed stone toys, stuck in time. And those incredible formations rolled past, one after the other as if presented to us on a mobile showcase. 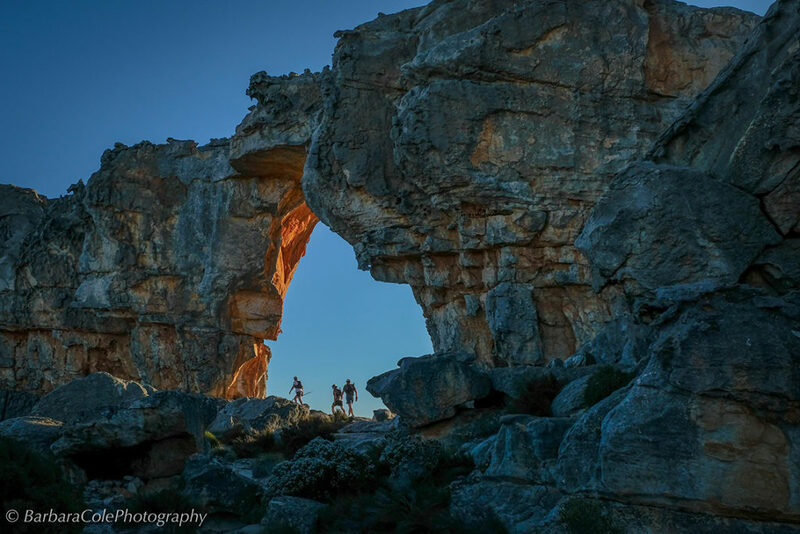 The Wolfberg Arch was next up, quite surreal in its stone perfection, a gateway to the harsh, raw and rugged wilderness that followed. 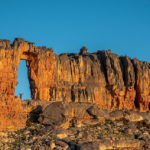 Ridges and kloofs, huts and hoeks, peaks and bergs, kops and vlakte – every possible type of geological feature that a rock-ridden landscape of the Cape Fold mountain wilderness can offer was along the way. Along the way we passed single cedars, an echo of thousands of years ago when these mountains were forested by the Clanwilliam cedar, endemic to the Cederberg. Of those individual beauties remaining, many are burnt but still showing determined signs of life on their upper branches. Then off we went again, this time up the valley, over a seemingly endless but beautiful Uitkykpas and across the top to the incredible Duiwelsgat. I reached the start of the steep and winding descent at last light, just in time to see the dramatic majesty of that dark and cavernous valley – aptly named a ‘gat’ (Afrikaans for ‘den’ or ‘hole’). I was on my own at this point, but the conversation was constant – much had to be said about everything around me, the scenery was mindblowing! Running in the dark in beautiful surrounds is rather a waste of scenic beauty, but the night sky presented its own show. There was only a sliver of moon, so the stars had front stage, and they really strutted their stuff that night. Three times I stopped, turned of my headlamp and sat on a rock just to stare at the heavens in all their glory. I counted two shooting stars, at least three satellites, and flashes of lightning stabs the horizon 50km away. 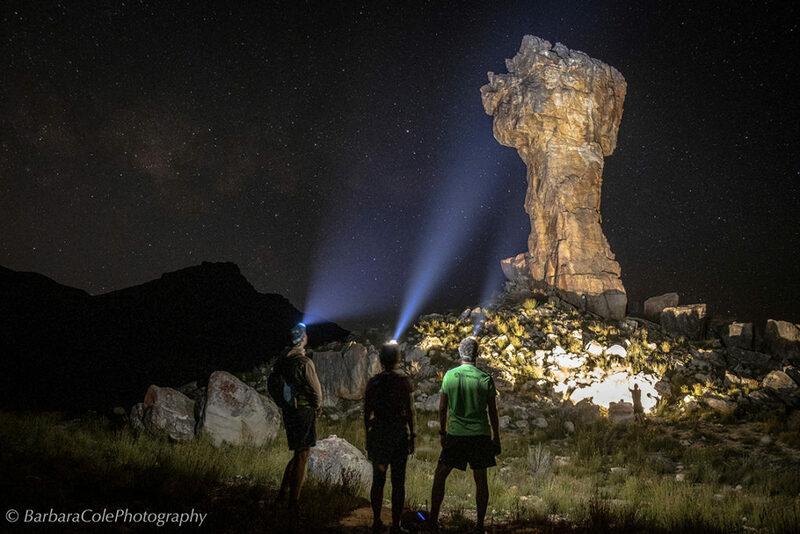 Soon came the Maltese Cross, the geological enigma that stands 30m high, a monolith on its own mount, like a sentinel overlooking the plateau east of Sneeuberg Peak. 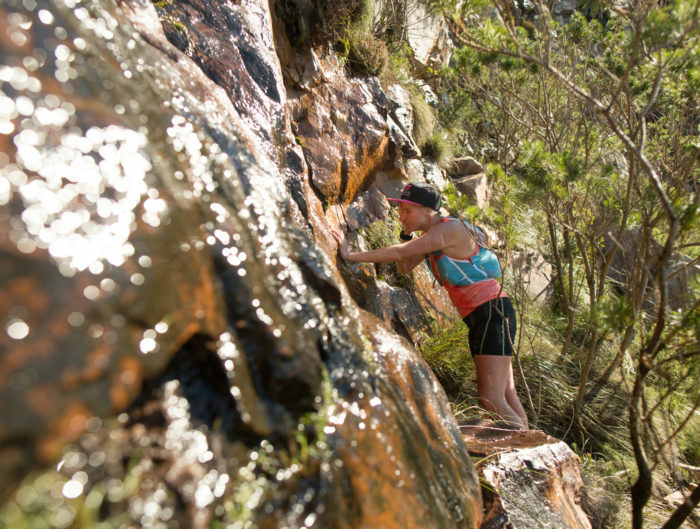 By this stage, my body was telling me enough was enough – truth be told, I wasn’t 100km fit, let alone race fit, and I was here for the joy of being able to run, purely for the adventure. At this point I suspected there’d be something interesting on the cards for us. The Curve Ball had alluded to it at our briefing. I knew that from the Maltese Cross the route would be new – all previous routes had been around 96km, and the intention this time was to make it a definite 100km. So, for good measure and in true Curve Ball fashion, it became 107km. From the Maltese Cross we headed in a south-easterly direction to the base of Sugarloaf Peak. We skirted the base, passed CP7 and then slogged Dwarsrivierberg – up a washed-out and extremely eroded ex-jeep track that felt damn-near impossible (much like walking uphill on marbles). Down the other side was a welcome relief… and then, out of nowhere, I found The Curve Ball himself. Out there in the darkness, headlamp on and grinning from ear to ear, looking extremely pleased with himself. “Wow, have I got a fantastic surprise for you!” he announced. 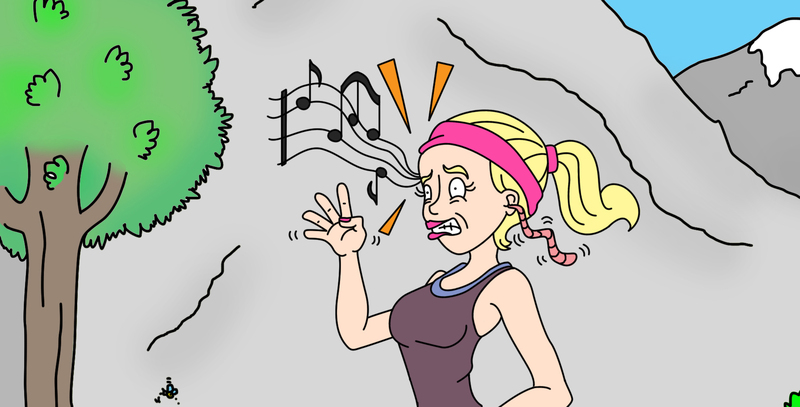 Still NINE km? and bundu-bashing? So from self-nav focused to pink-tag bevok, we whacked, hacked, bashed and stumbled our way through a 3km section of thigh-high fynbos, following a trail of not-even-vaguely-luminous pink tags, eventually popping out onto jeep track and then dirt road for the last several km of the Cederberg Traverse “100km”. The proverbial sting in the tail tested legs and mind, and for some, even sense of humour – no one more than race winner AJ Calitz, who was, by all reports, rather red-tempered when he crossed the finish line! Of the 28 starters, 19 of us finished. One of the DNFs, Josh Chigome, went horrendously AWOL some 30km into the route, running almost to Wuppertal, and clocking a total of 126km, unintentionally dodging the race marshals who were trying to track him. 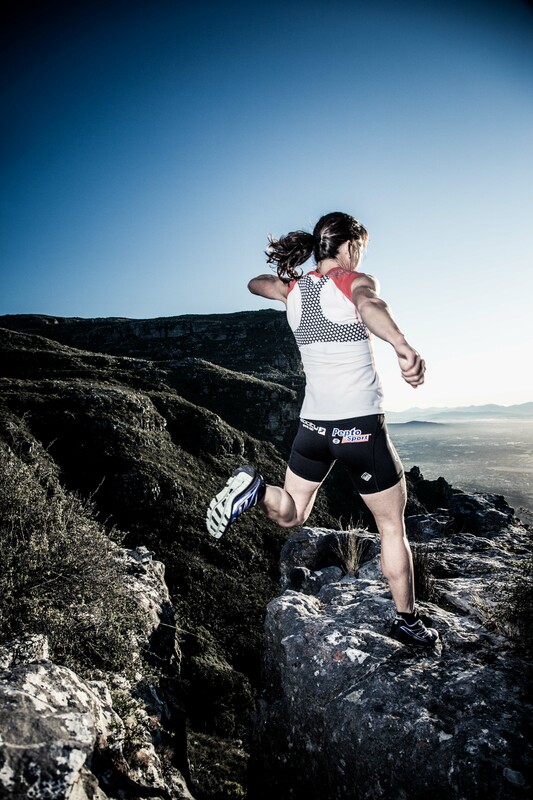 So is the nature of epic ultras in the wilderness – they’re exactly that. 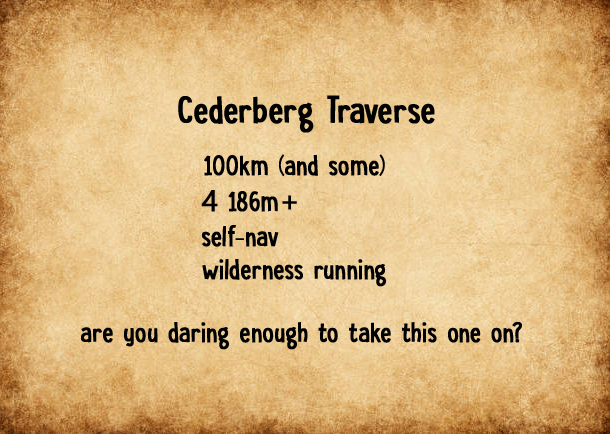 And about this one specifically, if it’s predictability you’re after, or if you’re chasing records or looking to beat a buddy’s time from a previous year, then this race is not for you. The Curve Ball informed us that he used us as guinea pigs, and we passed the test. 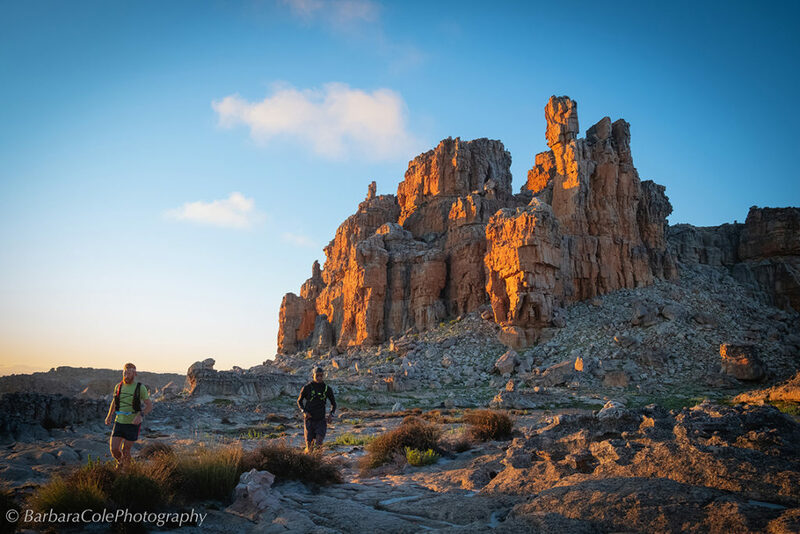 He plans to add “Barkley Marathon”-style curveballs to every future edition of the Cederberg Traverse, so the event will remain the most challenging 100km in South Africa.